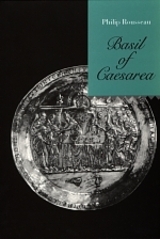 Basil of Caesarea is thought of most often as an opponent of heresy and a pioneer of monastic life in the eastern church. In this new biographical study, however, controversy is no longer seen as the central preoccupation of his life nor are his ascetic initiatives viewed as separable from his pastoral concern for all Christians. Basil's letters, sermons, and theological treatises, together with the testimonies of his relatives and friends, reveal a man beset by doubt. He demanded loyalty, but gave it also, and made it a central feature of his church. In Rousseau's portrait, Basil's understanding of human nature emerges as his major legacy. Philip Rousseau is Associate Professor of History at the University of Auckland. He is the author of Pachomius: The Making of a Community in Fourth-Century Egypt (California, 1985).